Disclaimer: I was provided the use of a #Toyota Highlander for the purposes of a review, however, there was no other compensation. All comments and reviews are all my own. I‘m so excited that in about minus 8 hours, I embark on a three-day span of firsts: my first road trip with my mom, the first opportunity to show my son a little bit of Texas Hill Country and my first experience driving a Toyota. 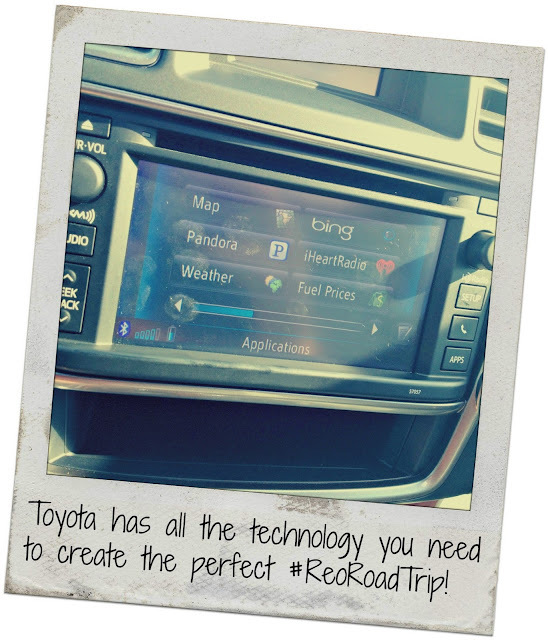 As part of our journey, I get to test out a Toyota Highlander and all its amazing features. I’m just now learning everything, but I’ve already figured out the radio system and bluetooth for my phone is A-mazing. 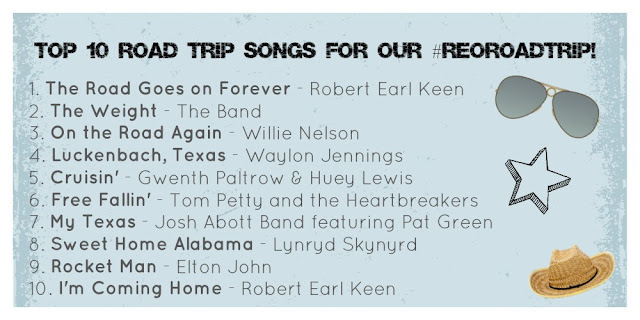 I can’t wait to try it out, so of course, like any good road trip should have – I’ve created a song list to kick things off appropriately. And when we’ve blown through those only a few hours down I-35, we’ve got Pandora in the car to stream all my favorite channels with the use of the Entune technology in the Highlander. I’ll be sharing my trip over the next few days on Instagram and Twitter, so make sure to follow me for all the #ReoRoadTrip fun! love texas hill country! i’m sure you’ll enjoy it! The music list sounds awesome … and that area is so great! I can’t wait to follow along on twitter and instagram! I love these songs. These are great ideas. Yall have fun and don’t forget to bring me a gift back 🙂 kidding.